HIS FATHER WAS NOT AN ASSASSIN!!! This is one of the best alex rider books. This book is as amazing as the rest of the series but it is full of suspense as Alex gets to know the truth about his father and how he was actually a MI6 agent. Absolutely amazing. 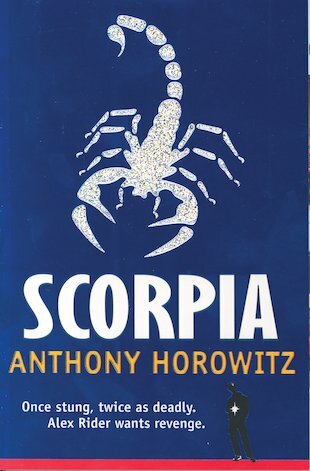 The introduction to scorpia in this book could not be shown any less exciting than this. Mrs.Rothman, the head of scorpia, is out to get all the children in Britain by injecting dangerous drugs in them. Scorpia is an action-packed, thrilling sequel to Stormbreaker. Will Scorpia return? This book is a thrilling installment of the alex rider series. This adventure will take alex from the safety of England into Venice, a seemingly nice town. This book will dig deep into alex’s past as he finds out the truth about his father. I would recommend this book!